Paul S. Anderson is a naturopathic physician, Medical Director & Founder of Anderson Medical Specialty Associates (AMSA). He is a recognized authority in the field of integrative cancer research and the treatment of chronic diseases, genomic conditions, and auto-immune and infectious disorders. As a naturopath, Dr. Anderson began his career as a family practitioner in Canby and Salem, Oregon. For many years he has trained students and clinicians at a number of naturopathic medical schools and other higher education institutions, with a specialization in intravenous (IV) therapy formulation and infusion techniques as well as clinical approaches to complicated illness. Most recently Dr. Anderson spent seven years at Bastyr University in Seattle on the faculties of both its School of Naturopathic Medicine and the Bastyr University Research Institute. He was the Chief of Intravenous Services at the Bastyr Integrative Oncology Research Center (BIORC) from 2009-2013, where he remains an adjunct research professor involved in prospective NIH and other grants. As an instructor he continues to provide popular annual board review courses for the leading US and Canadian naturopathic medical schools. In addition to other recognition among his peers, in 2013 the American Association of Naturopathic Physicians named him the “Vis” award recipient (began in honor of the late Dr. William Mitchell) for service to the education of physicians and students in Naturopathy. Dr. Anderson has been named to the list of “Best Physicians” in Seattle in 2011, 2013 and 2014. After years of private practice in Oregon, Arizona and then during his tenure at Bastyr University, Dr. Anderson established AMSA in 2010, to focus on more intensive patient care and medical research. As a physician-scientist, Dr. Anderson is interested in immunologic, genomic, and metabolic repair; fields that are considered to be at the leading edge of medical inquiry for many disease processes. His longtime work on the development and standardization of pharmacologically significant micronutrient IV therapies bridges naturopathic to conventional medicine, merging the benefits of both, from diagnosis to treatment, with an expert understanding of the underlying biochemical and genetic causes that contribute to illness. Dr. Anderson has collaborated with many notable physicians, researchers and professors in his career and continues to do so in his current work. Peter Bongiorno, N.D., LAc. 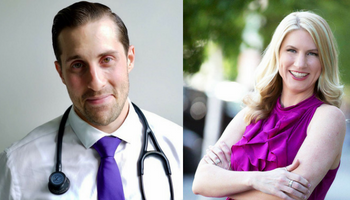 is co-director of InnerSource Natural Health and Acupuncture, with two thriving practices in New York. Specializing in emotional and mental health, Dr. Bongiorno researched at the NIH’s National Institute of Mental Health in the department of Clinical Neuroendocrinology, and Yale’s department of pharmacology before training at Bastyr University in naturopathic medicine and acupuncture. He is president of the NY Association of Naturopathic Physicians. A major contributor to the Textbook of Natural Medicine (Elsevier), in 2010 he authored Healing Depression (CCNM press) the first comprehensive textbook designed to teach physicians the science and art of natural medicine for mood support. His first public book in 2010 was “How Come They’re Happy and I’m Not,” (Red Wheel / Conari Press) which he followed in 2015 with the professional guide “Holistic Solutions for Anxiety And Depression” (Norton). His latest work is “Put Anxiety Behind You: The Complete Drug Free Program” (Red Wheel/Conari). He can be reached through www.drpeterbongiorno.com and www.InnerSourceHealth.com. Dr. Esposito is a naturopathic physician, acupuncturist and functional medicine practitioner specializing in integrative urology, men’s health and hormonal health. His precise and personalized style utilizes a systems biology and precision medicine approach to medicine. 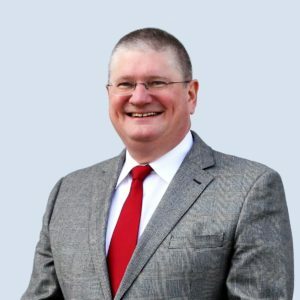 In addition to being a peer reviewer for medical journals, he has authored several medical textbook chapters and has designed education modules for health professionals specifically on urological conditions, male and female hormone dysfunction, hypogonadism, exercise, men’s health and sexual dysfunction. 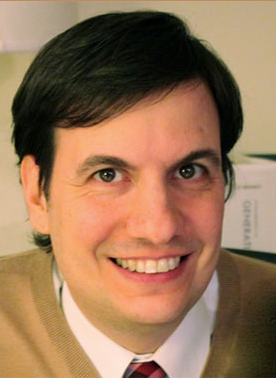 Dr. Esposito has trained at NYU Integrative and Functional Urology Center and also holds a position as adjunct professor at New York University where he lectures on integrative medicine. Currently, Dr. Esposito serves as a medical consultant and research analyst. Dr. Guggenheim started as a modern dancer then evolved into a medical massage therapist for several years. After performing over 60.000 massages, she enrolled in Naturopathic Medical College at University of Bridgeport. During her time in school, Isadora organized the first health fair with news coverage, an annual Thanksgiving vendor tradition, an corporate sponsored botanical garden and the first free Naturopathic clinic post 911. Armed with a diploma and license, she created Second Nature Care in CT. and NY. After battling NY legislators for years and consistently losing, she enrolled into nursing school. After completing nursing school, she then continued to obtain her FNP Family Nurse Practitioner degree. In between all of these academics, she certified in ozone therapy and I.V. therapies. As an FNP, she is licensed to practice in all 50 states with varying scope of practices, but she is one of the few ND’s in CT. who can legally offer I.V. therapies and ozone therapy. She is expanding her practice in CT. in 2018 and offering a wide array of both standard medical modalities and advanced ozone/I.V. therapies. Specializations include: Lyme and co-infections, Autoimmune conditions and Cancer Care. Dr. Amy Rothenberg was the 2017 AANP Physician of the Year. Her work with patients informs and inspires her writing for the Huffington Post, Thrive Global, Medium and other periodicals. Her book, The A Cappella Singer Who Lost Her Voice & Other Stories From Natural Medicine was published in 2010. She is the immediate Past President of the Massachusetts Society of Naturopathic Doctors and helped spearhead the effort to win licensure for NDs in 2017. She is a former board member of the American Association of Naturopathic Physicians and currently serves on the Public Education and Media Affairs Committee of the AANP. She is dedicated to the naturopathic profession serving as mentor and friend to new doctors and colleagues across the country. Paul Herscu ND, MPH was the 2016 recipient of the AANP Vis Award. He specializes in the treatment of neurological, psychological, and immunological diagnoses. He is the author of numerous of books and articles including The Homeopathic Treatment of Children, Pediatric Constitutional Types. Dr. Herscu is an international speaker, lecturing extensively in Europe, Asia, and Australia. Appointed by Governor Baker, Dr. Herscu currently chairs the inaugural Massachusetts Board of Registration in Naturopathic Medicine. His interest in public health has led him to track epidemics over the past three decades creating protocols to prepare for and contend with epidemics. In 2008 he established Herscu Laboratory, a multi-disciplinary non-profit medical research center focused on integrating diverse fields of medical and biological science, public health and education. Together, Drs. Rothenberg & Herscu, in practice since 1986, founded and teach through the New England School of Homeopathy to help sustain the vitalistic tradition within naturopathic medicine. Together they raised wonderful children. Dr. Rothenberg and Herscu enjoy time with friends and family, hiking rural Massachusetts and spinning around the ballroom dance floor. Dr. Traub completed pre-med studies at the University of California at Irvine. He graduated from NCNM in 1981 and completed a residency there in Family Practice and Homeopathy. 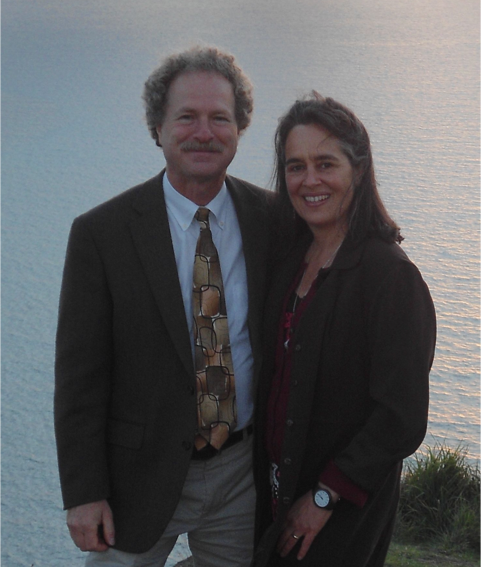 He received his diplomate from the Homeopathic Academy of Naturopathic Physicians in 1989. Dr. Traub was recognized for his many years of service in the AANP, including President from 2001-2003, when he was honored with the 2006 Physician of the Year Award. His father was a dermatologist, and this inspired Dr. Traub to undertake extra study in this subject. He has lectured internationally and taught dermatology at six of the eight accredited naturopathic medical schools in North America. 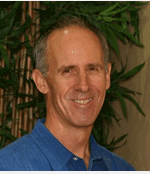 He is the author of “Essentials of Dermatologic Diagnosis and Integrative Therapeutics.” Dr Traub has been medical director of Lokahi Health Center in Kailua Kona for the past 33 years and is a fellow of the American Board of Naturopathic Oncology. Tia Trivisonno is an ND, LAc working at a clinic on Long Island, NY that specializes in Holistic Psychiatry with a team-based approach to patient care. Dr. Trivisonno earned a masters of science in oriental medicine, graduating with High Honors in classical Chinese medicine at NUNM and is certified by the New England School of Homeopathy. She is a certified practitioner of Dr. Nambudripad’s Allergy Elimination Techniques (NAET) and the innovative method of Dr. Thomas Szulc, the Bioresonance Analysis of Health (BAH). Dr. Trivisonno is the Vice President and Treasurer of the NYANP and is a member of the AANP and RIANP. She has co-authored journal publications and has lectured internationally about her clinic’s unique approach to healthcare. She graduated with honors in Environmental Studies at HWS Colleges in Geneva, NY and spent two years working in environmental education as a Peace Corps volunteer in Paraguay. She is passionate about music and surfing and believes that improving the health of each individual will contribute to a healthier planet. Dr. Donielle (Doni) Wilson, a naturopathic doctor, certified professional midwife, and certified nutrition specialist, graduated from Bastyr University in 2000. Author of The Stress Remedy, Dr. Doni redefines stress to include toxins, food sensitivities, and imbalanced blood sugar levels, and then offers expert guidance on how to reclaim optimal health. She is creator of a gluten-free nutritional regimen that integrates mind-body medicine with support for reducing exposure to all forms of stress – The Stress Remedy Program. 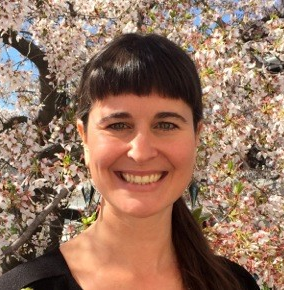 She is director of a naturopathic residency implementing her approach, and is developing a practitioner training program. In 2004, Dr. Doni was awarded the NYANP Physician of the Year Award, and in 2013 she was honored for serving as the President and Executive Director of the NYANP for over ten years. 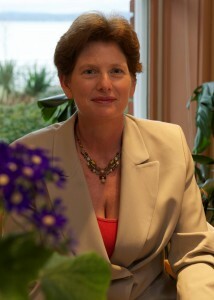 She continues to play an instrumental role in the effort to license NDs in New York. Dr. Doni is frequently called upon to discuss naturopathic medicine and her research related to stress in the media, as well as at both public and professional events including the AANP, CNPA, PANP, HANP, and NWNPC. She regularly presents at the naturopathic programs at University of Bridgeport, Bastyr University and Southwest College of Naturopathic Medicine.